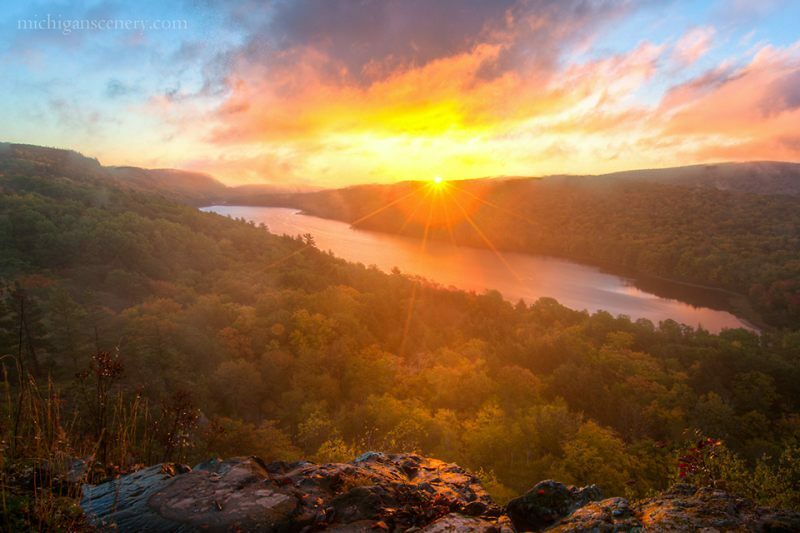 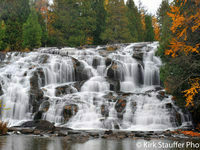 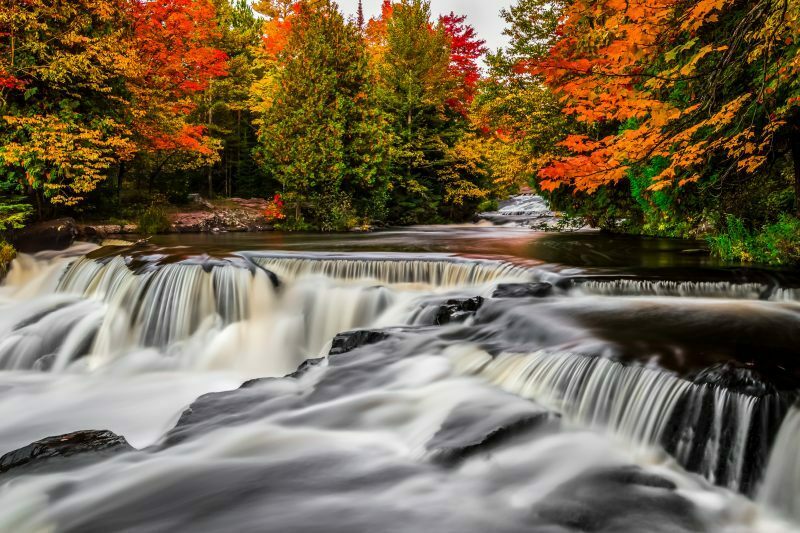 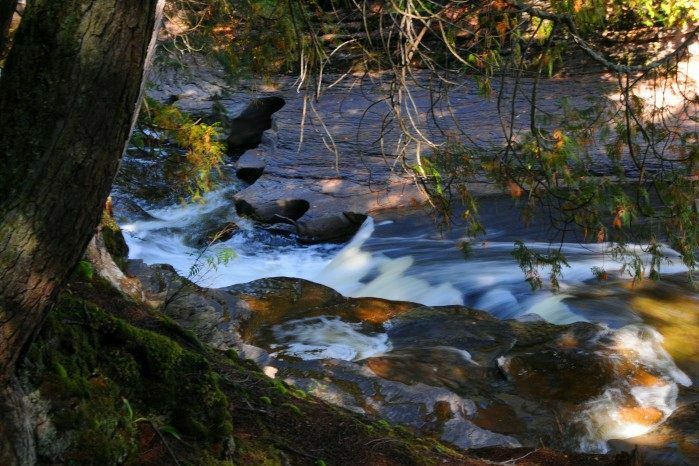 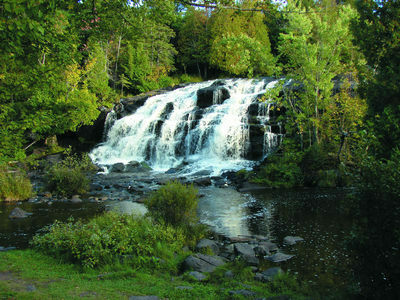 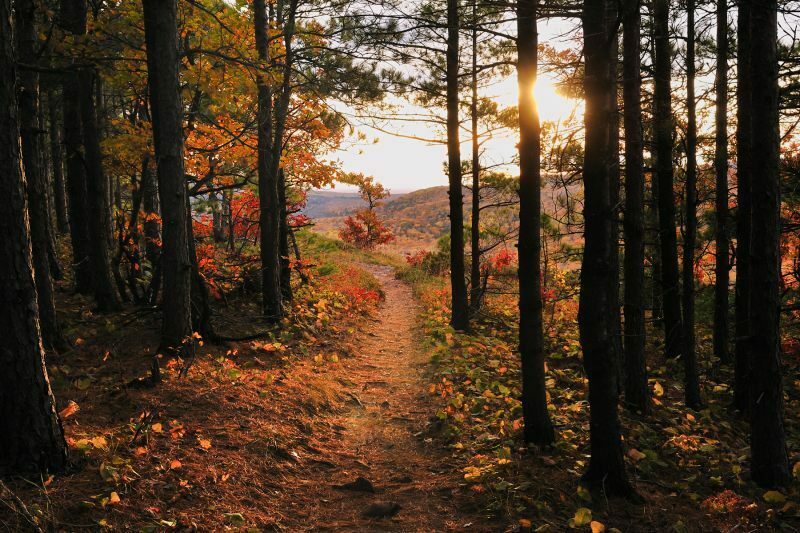 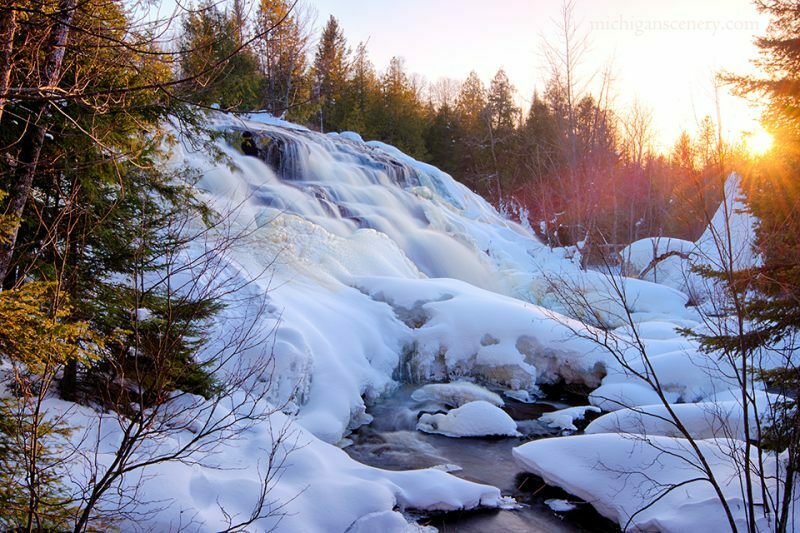 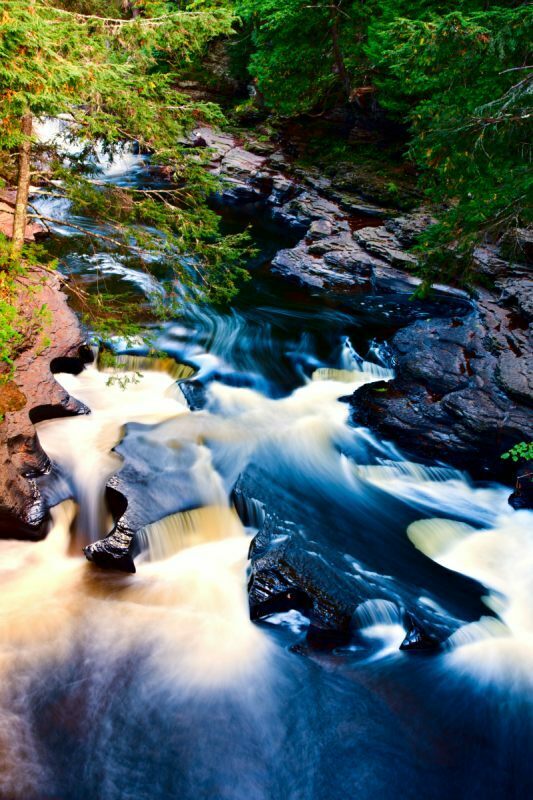 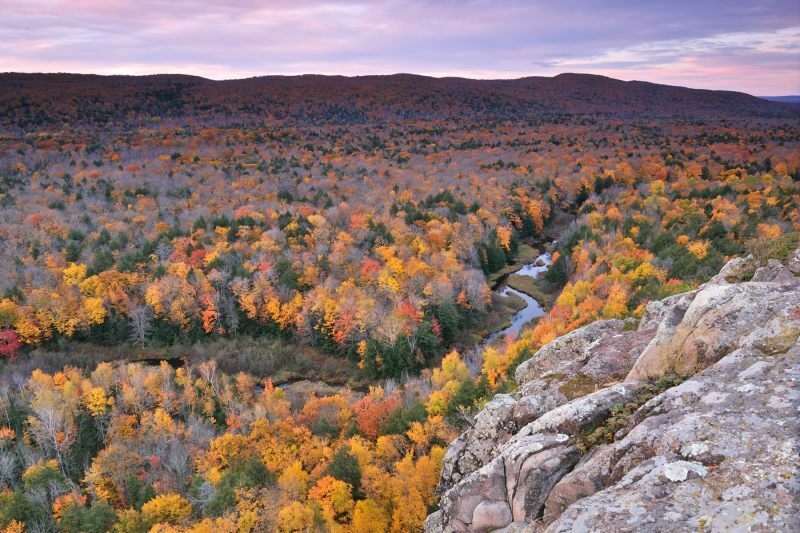 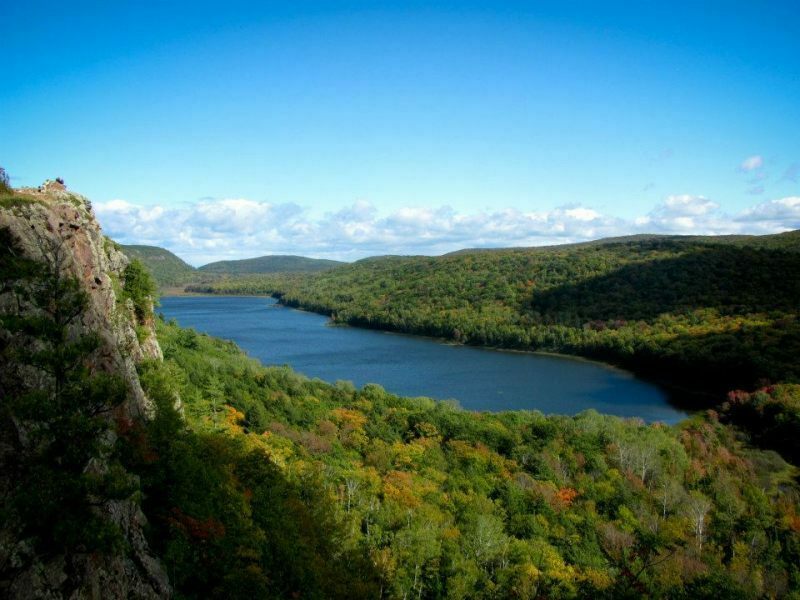 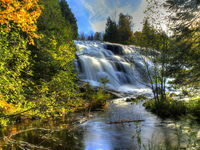 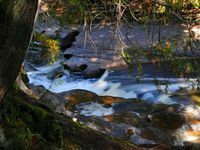 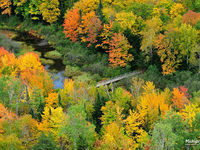 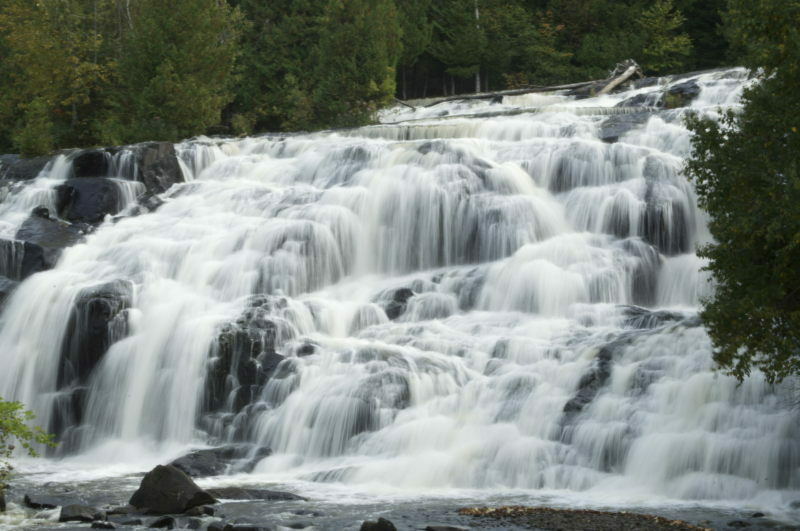 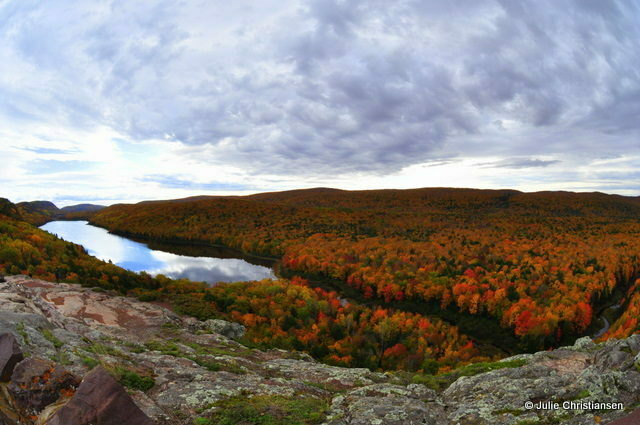 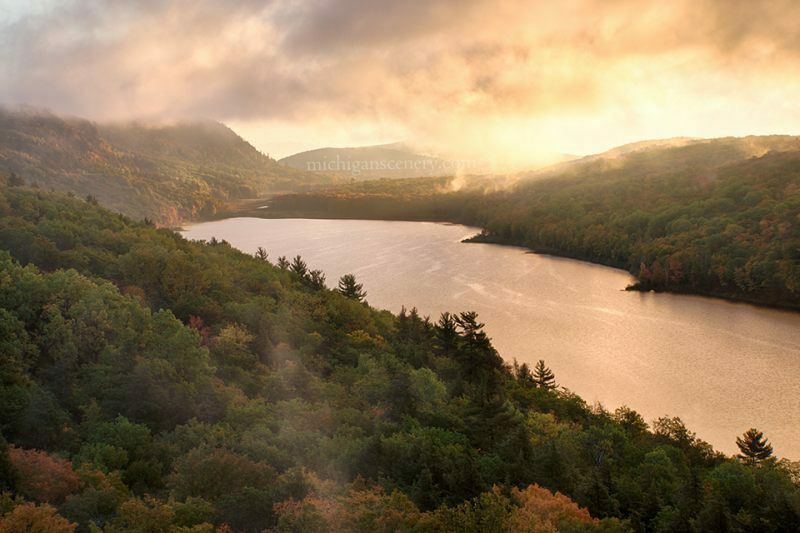 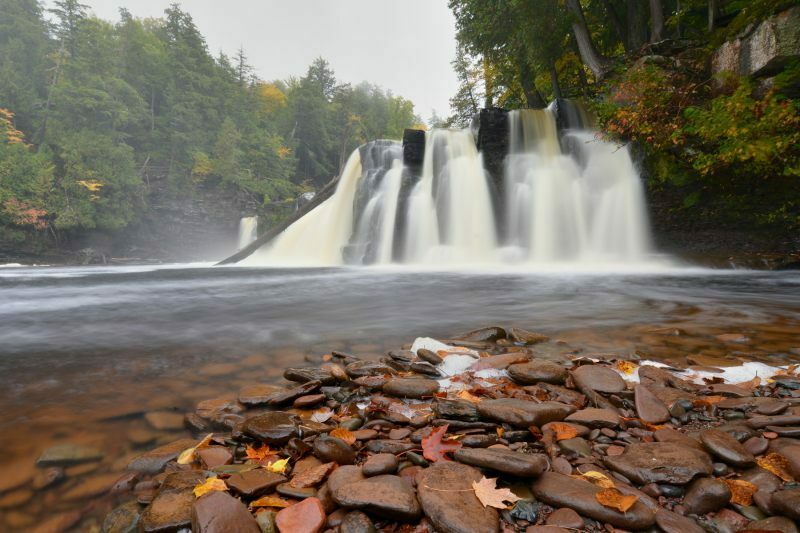 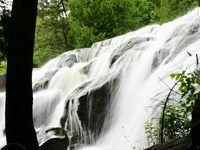 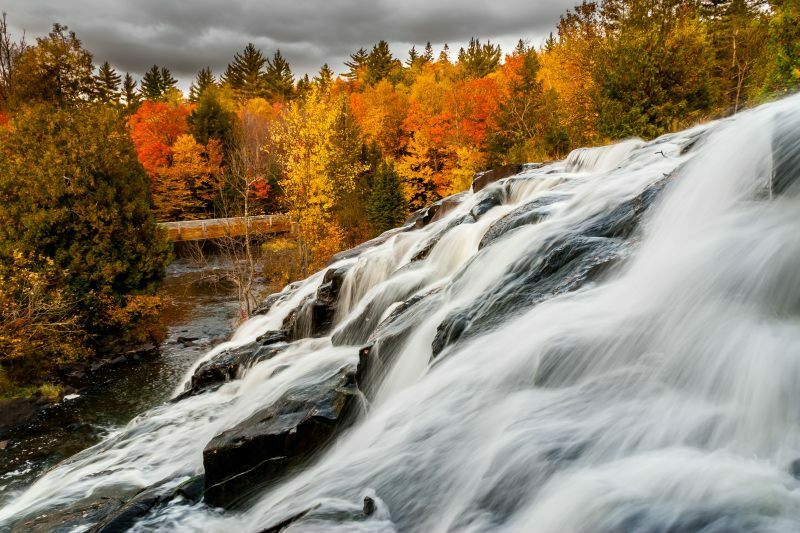 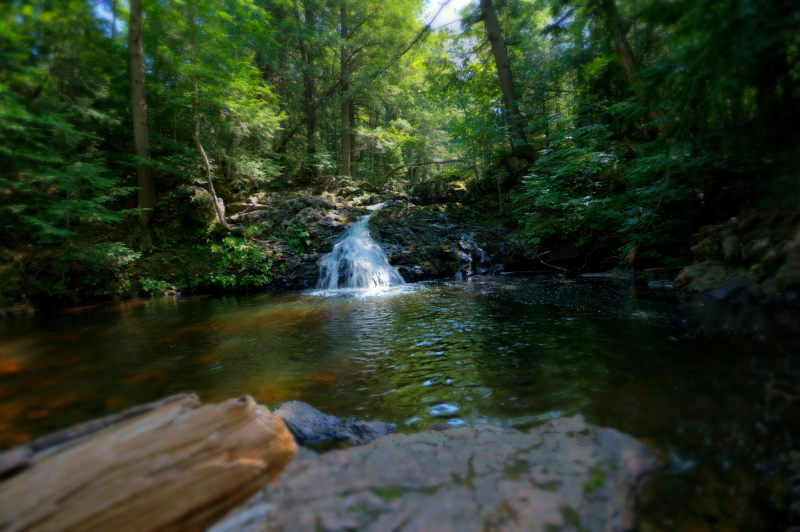 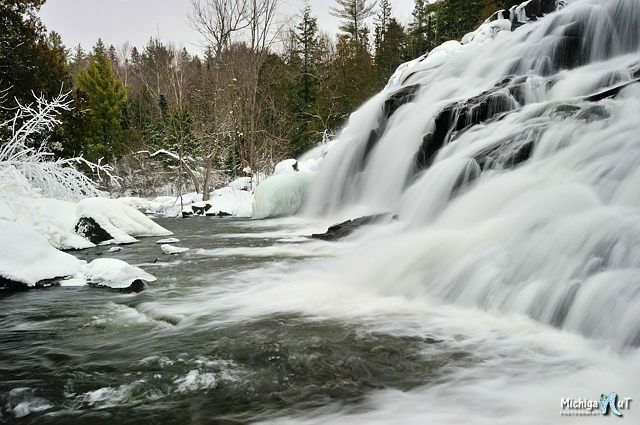 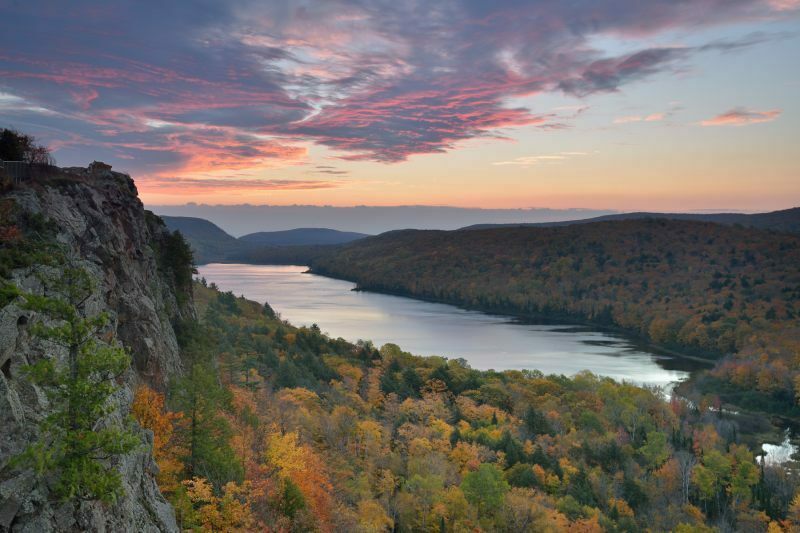 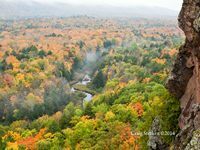 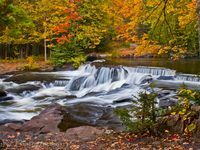 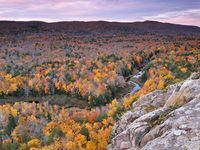 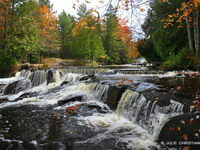 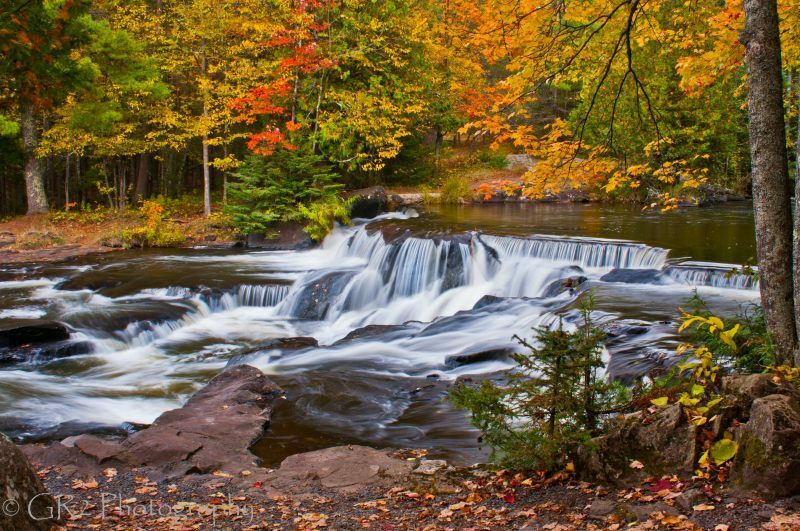 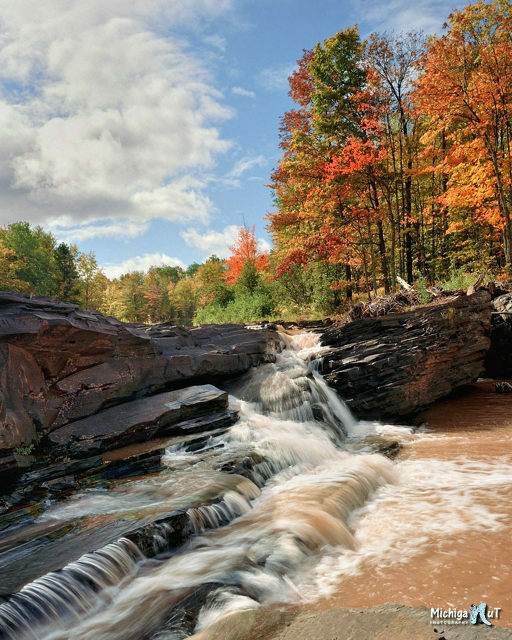 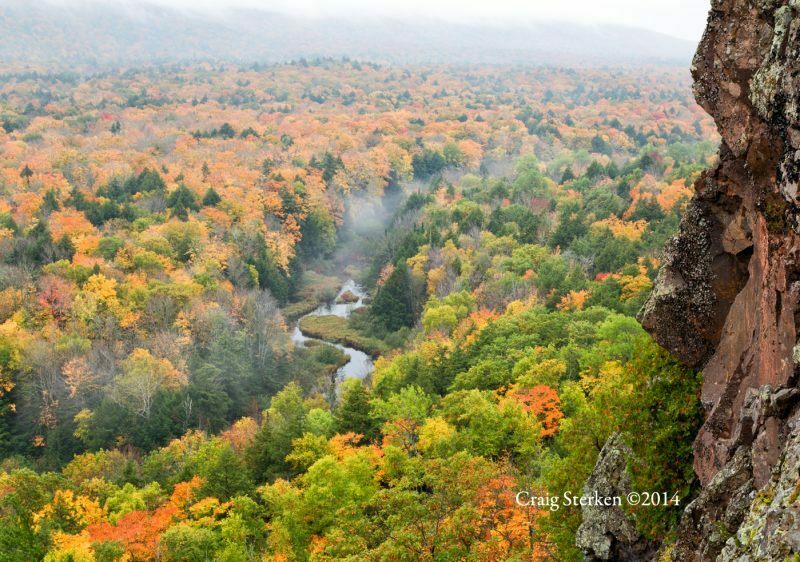 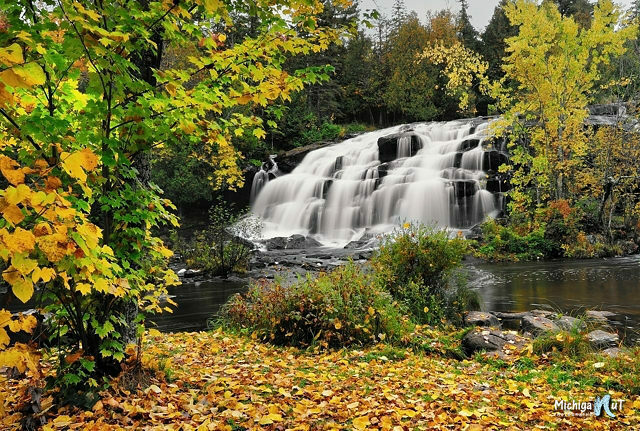 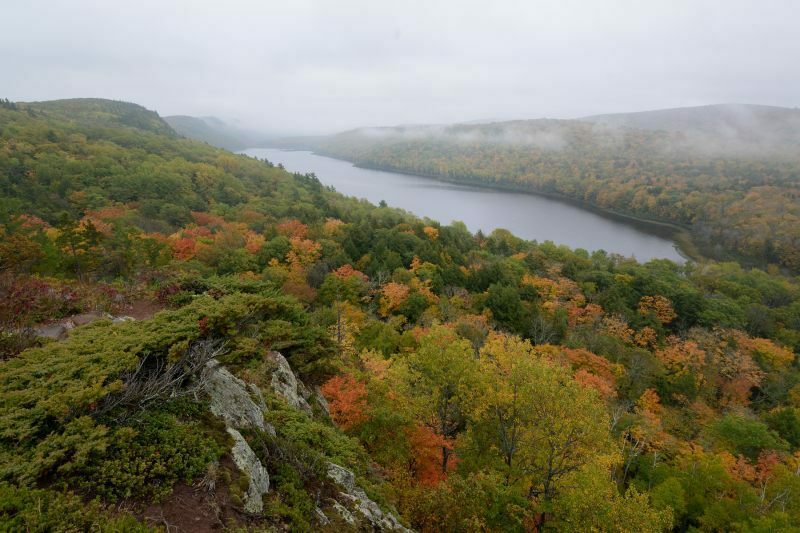 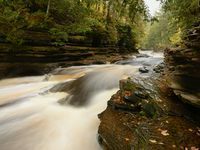 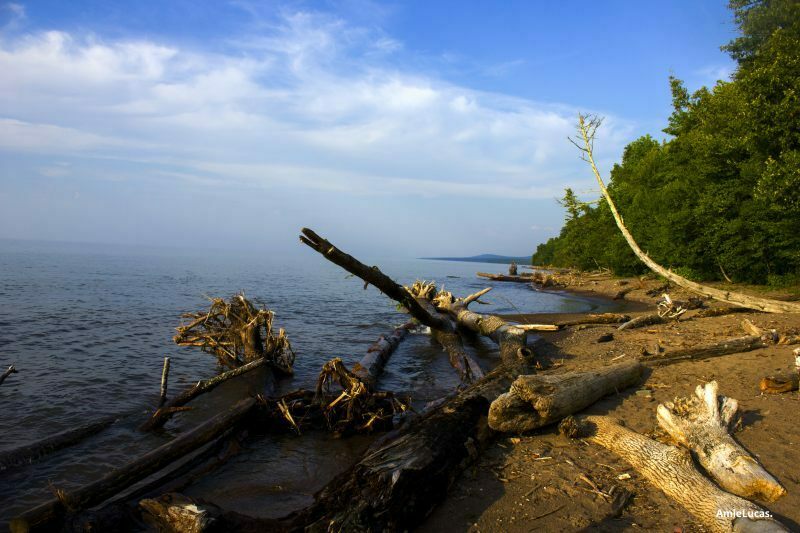 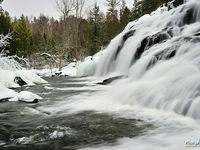 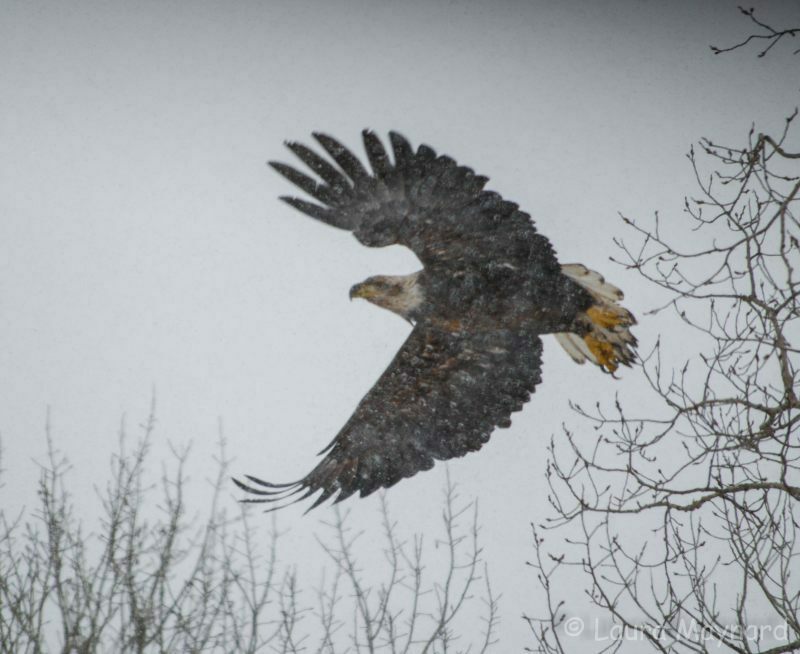 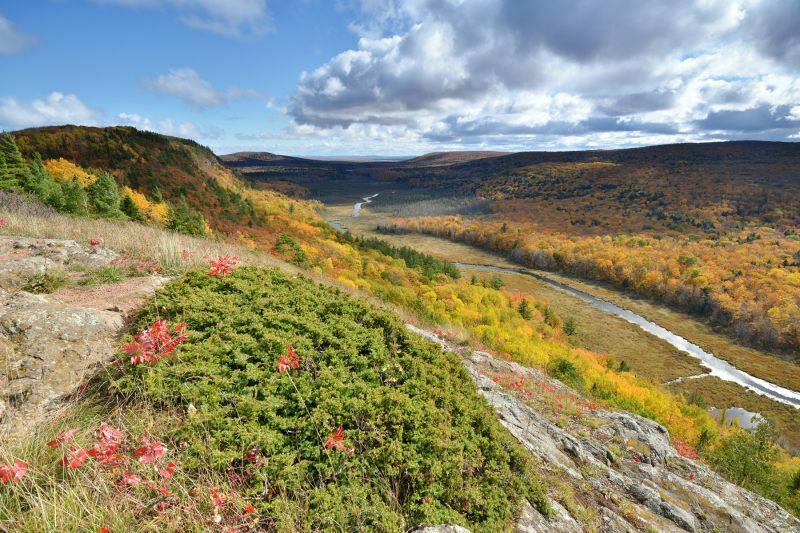 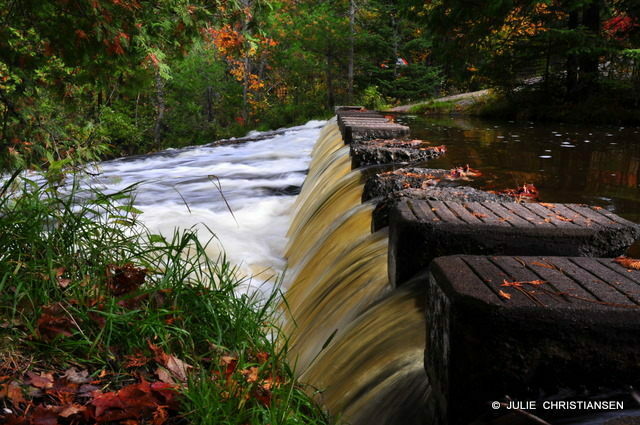 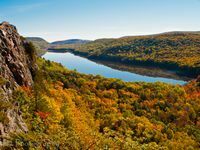 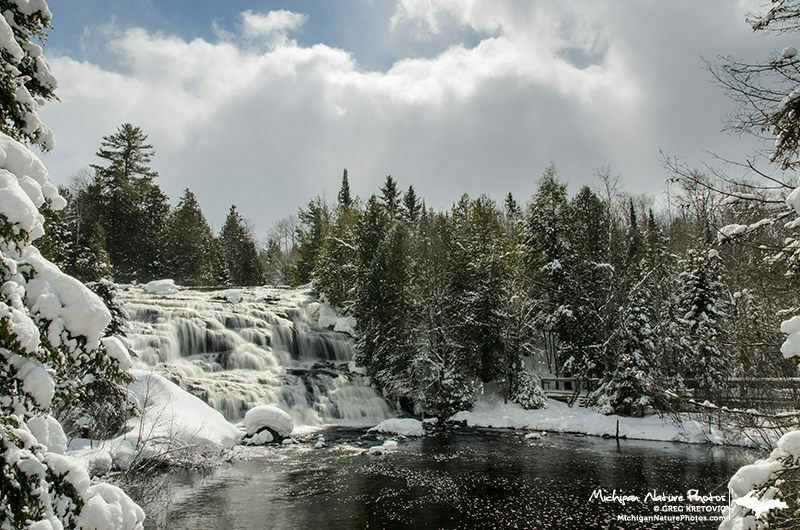 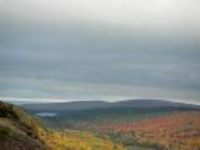 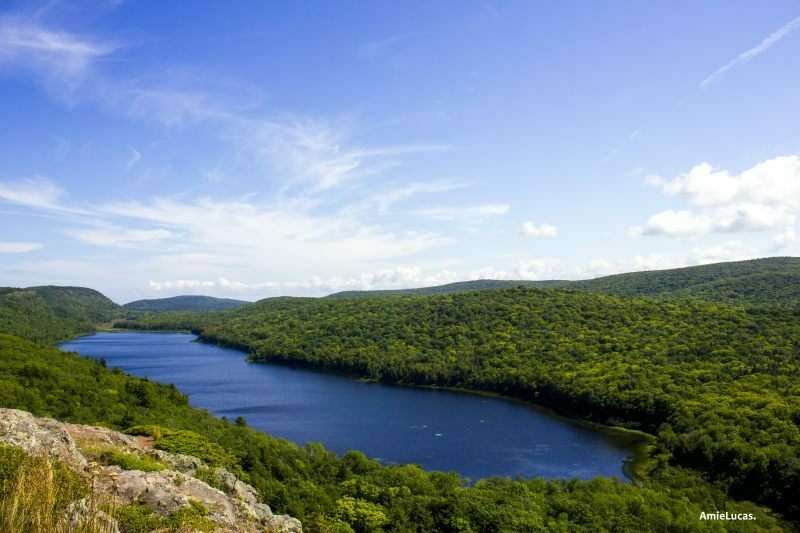 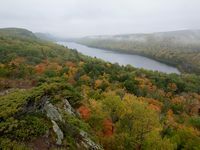 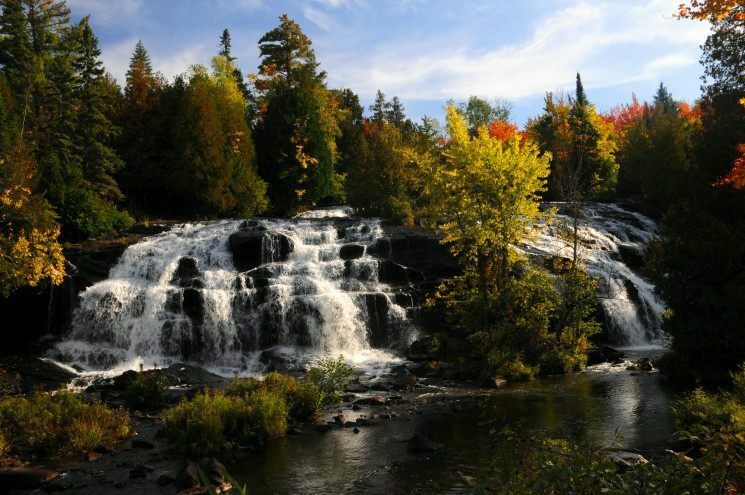 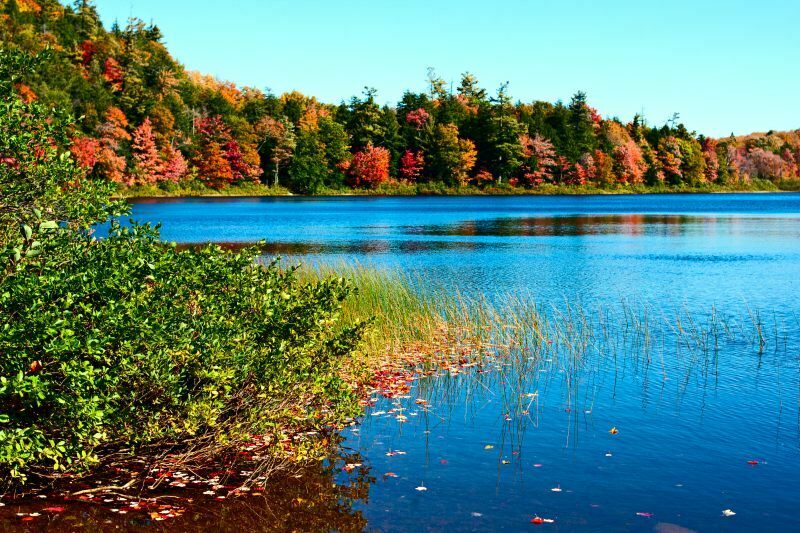 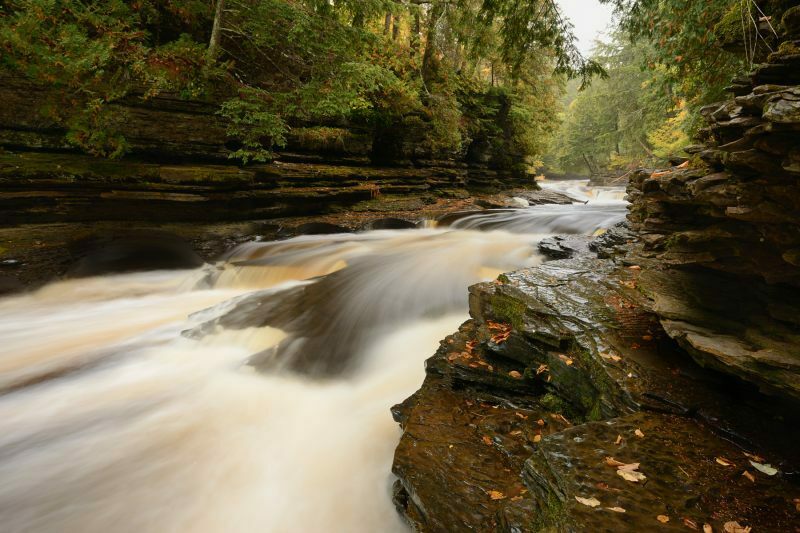 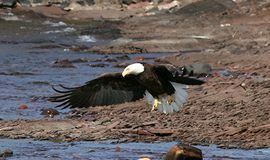 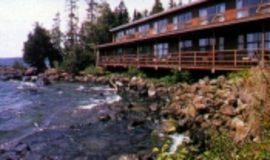 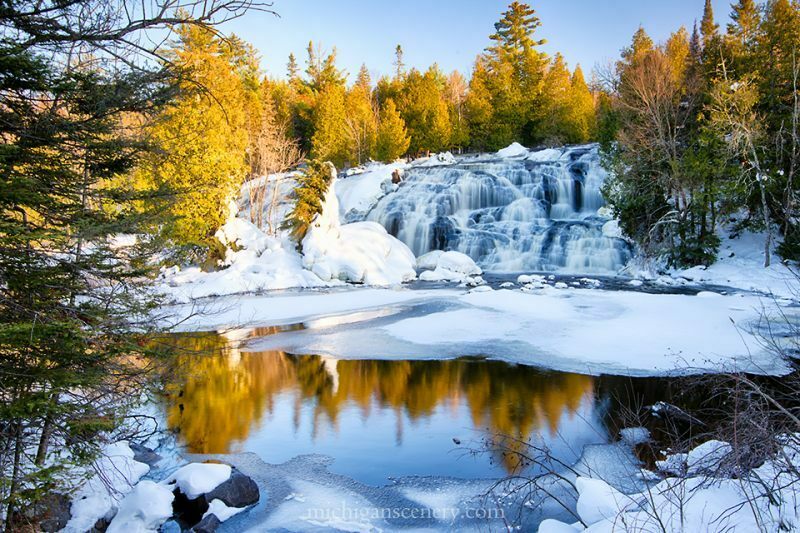 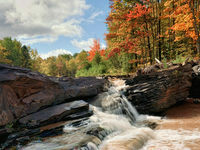 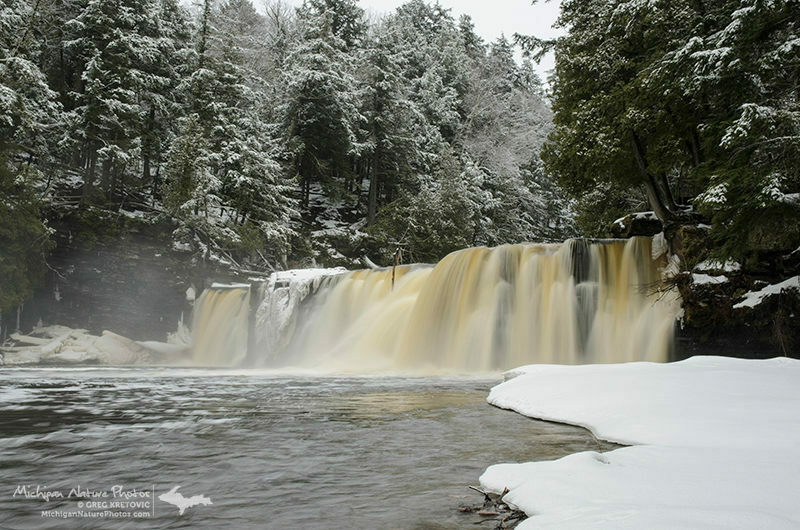 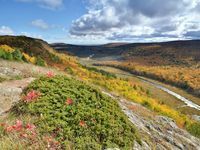 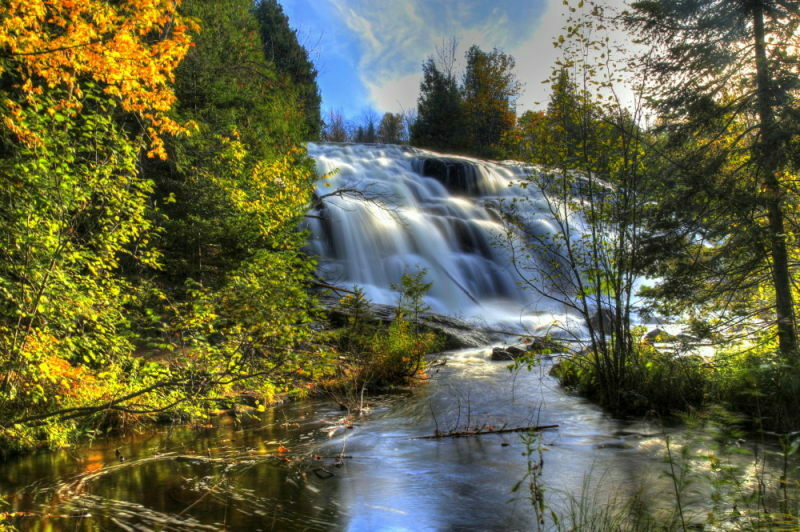 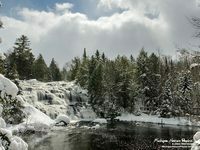 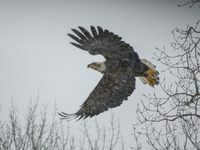 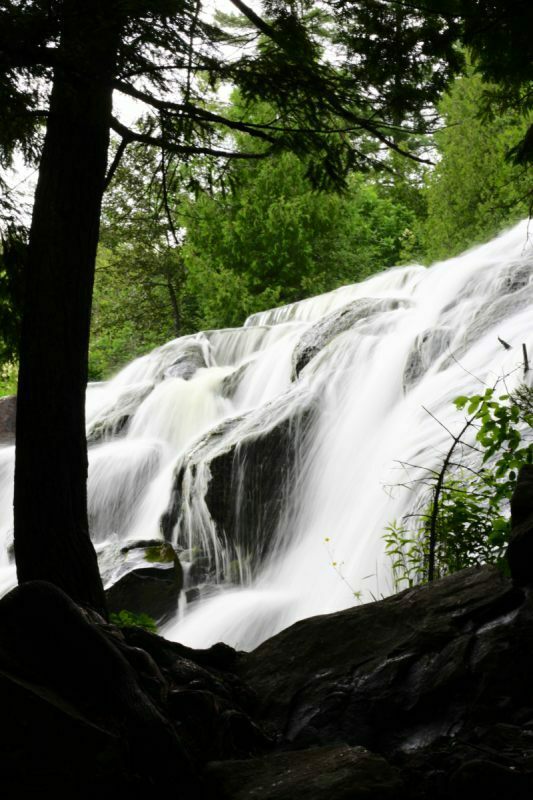 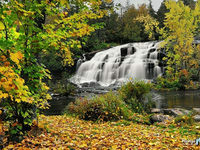 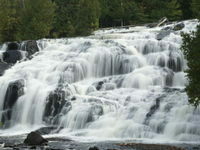 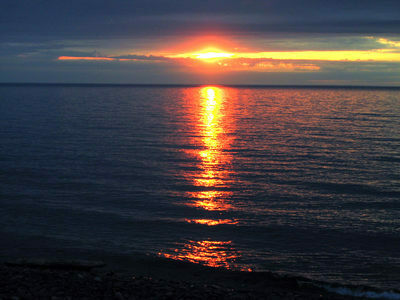 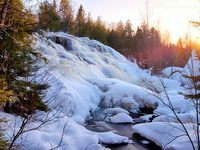 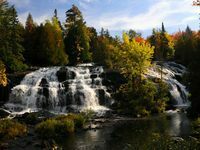 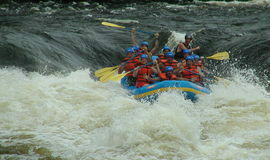 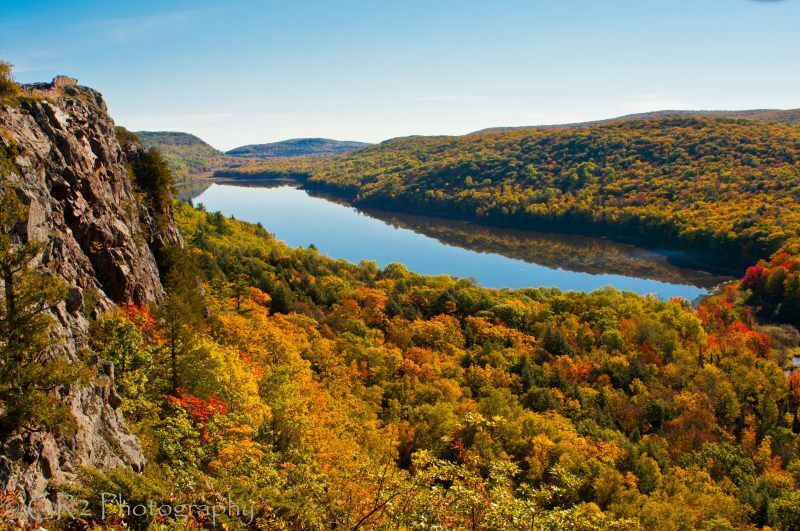 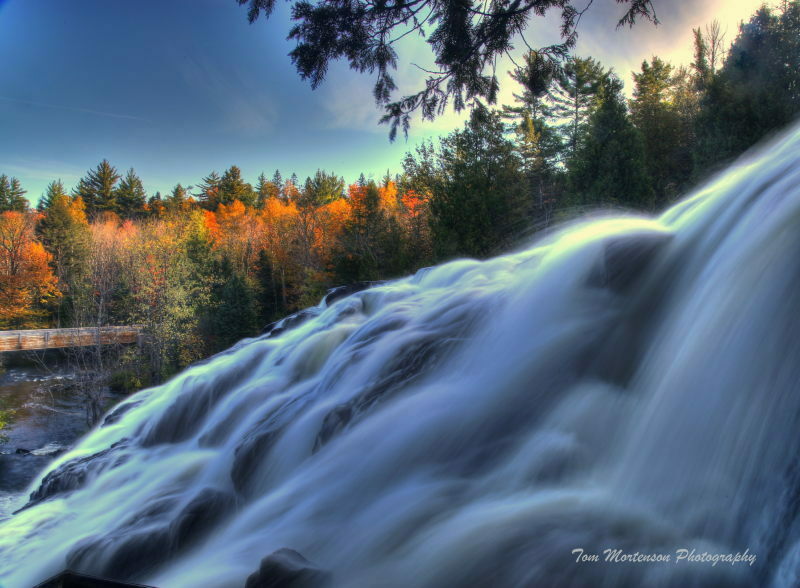 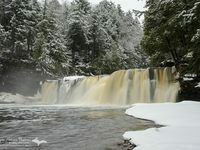 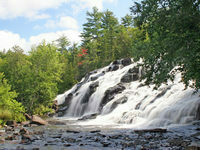 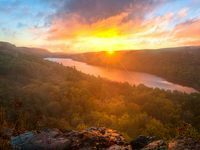 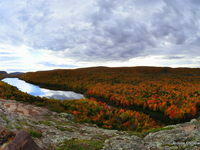 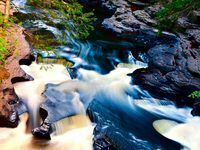 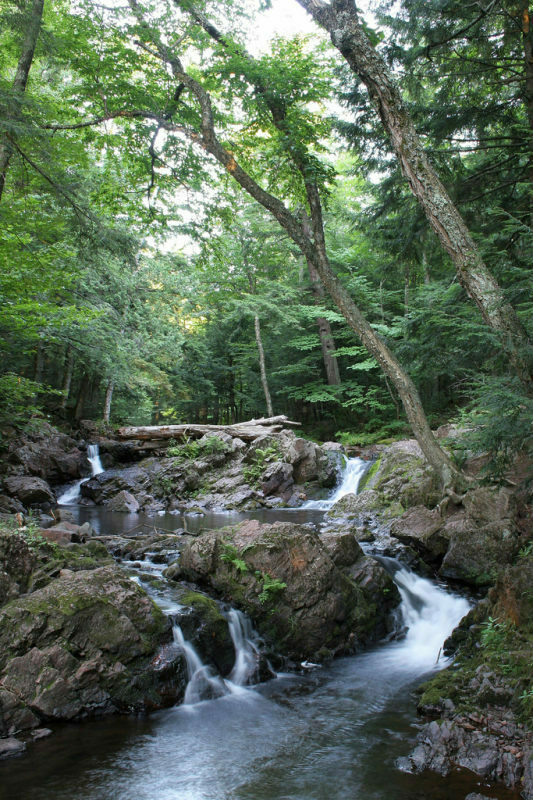 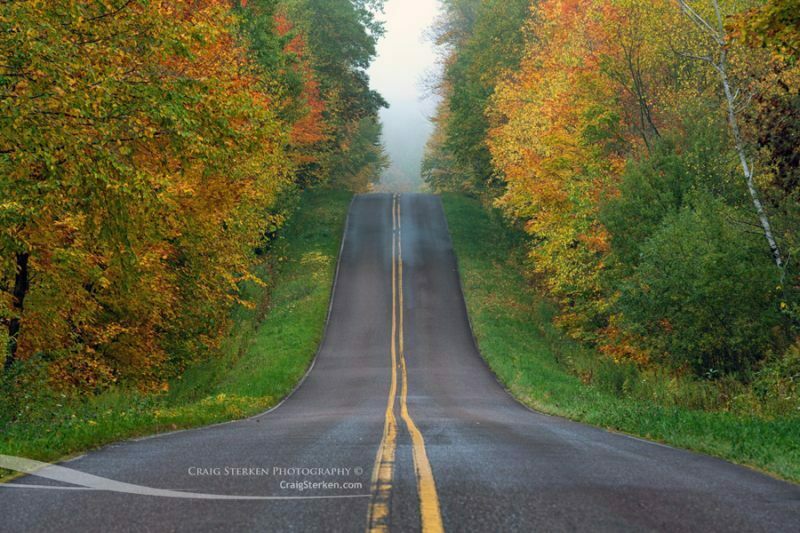 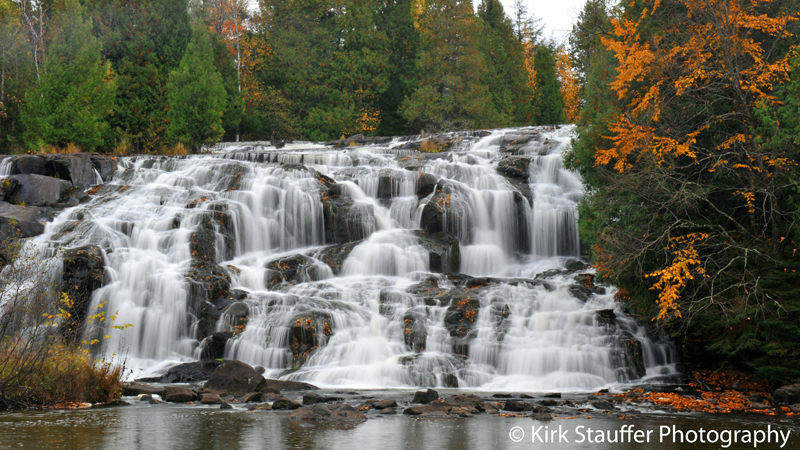 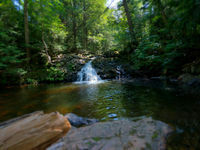 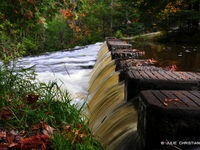 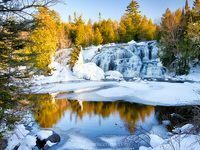 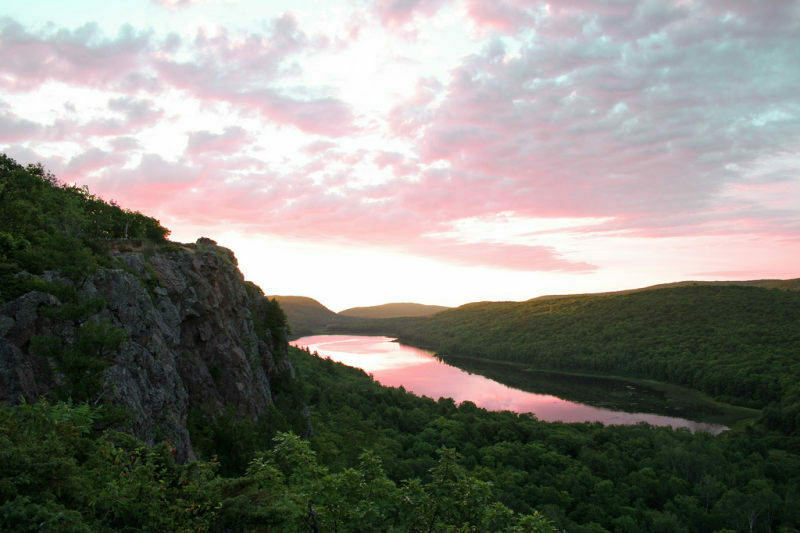 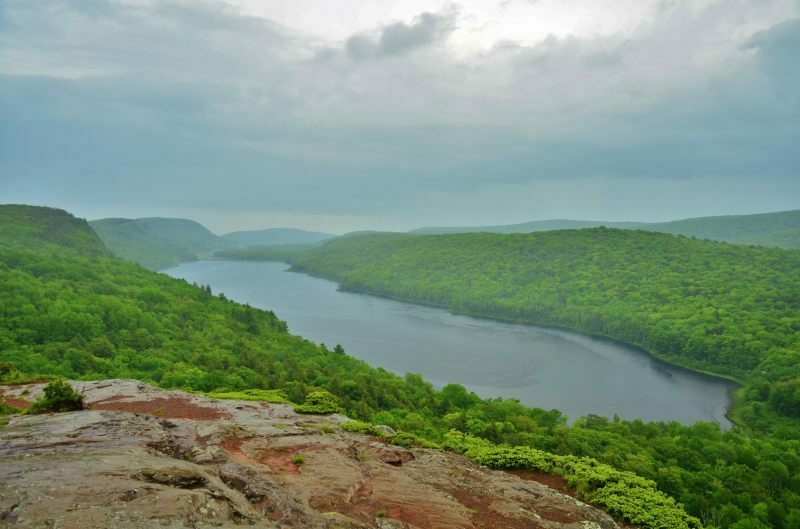 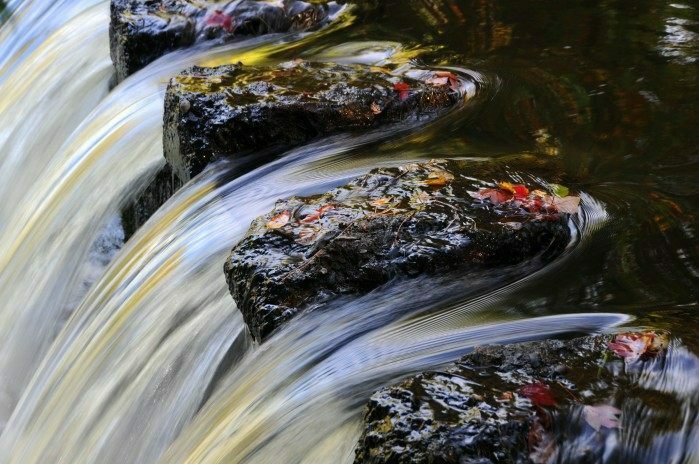 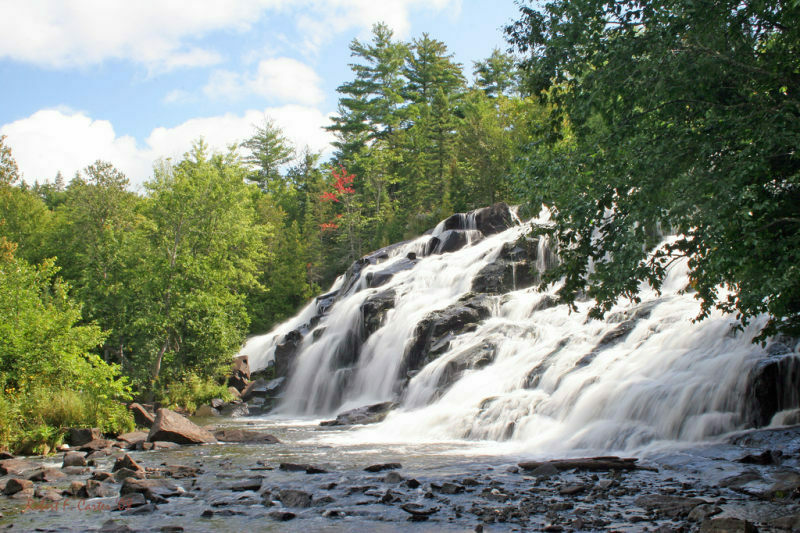 When you visit, locals will direct you to Porcupine Mountains Wilderness State Park. 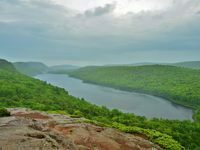 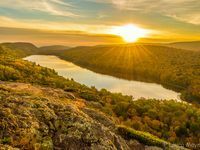 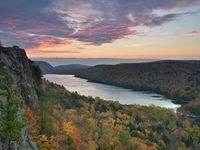 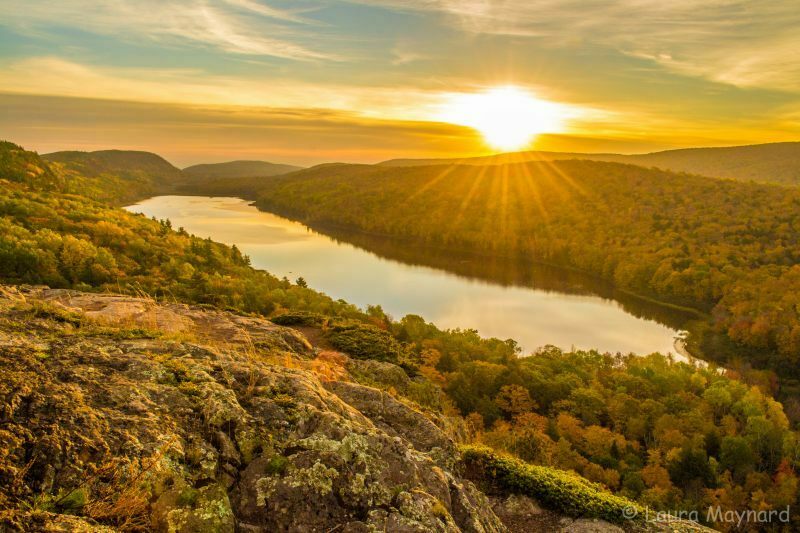 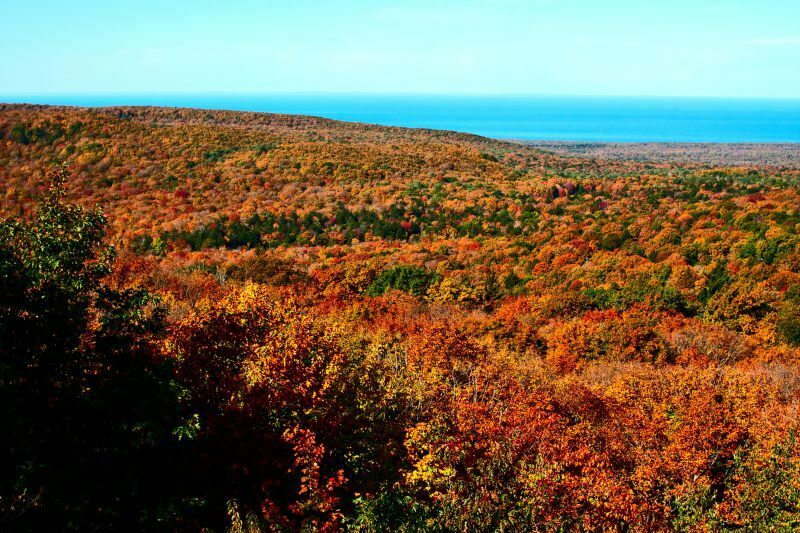 Not that you can ever explore in your lifetime all 60,000 acres, but do go up to the Lake of the Clouds Overlook, one of the most scenic spots in Michigan. 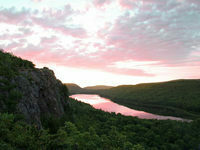 Another “Porkies” must-see is the 40-foot high Summit Peak Observation Tower. 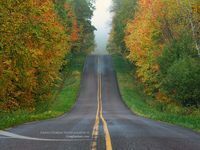 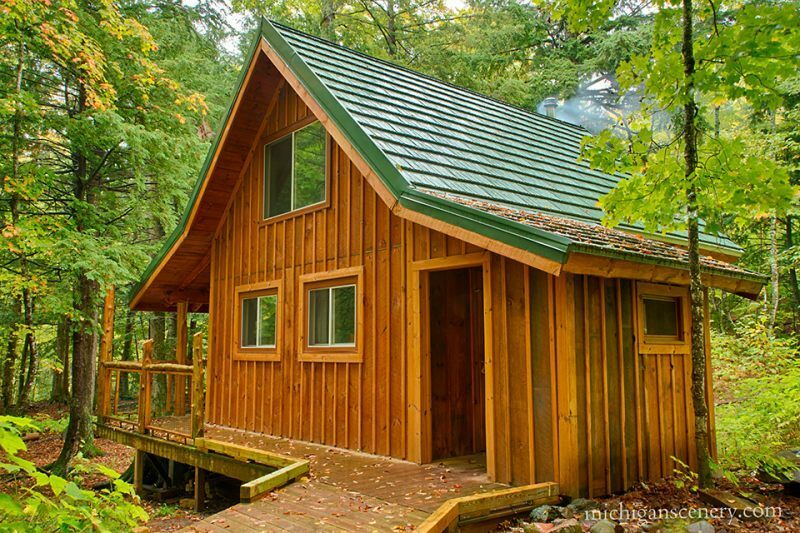 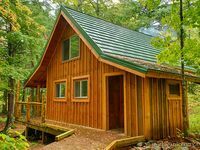 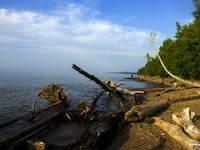 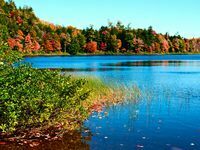 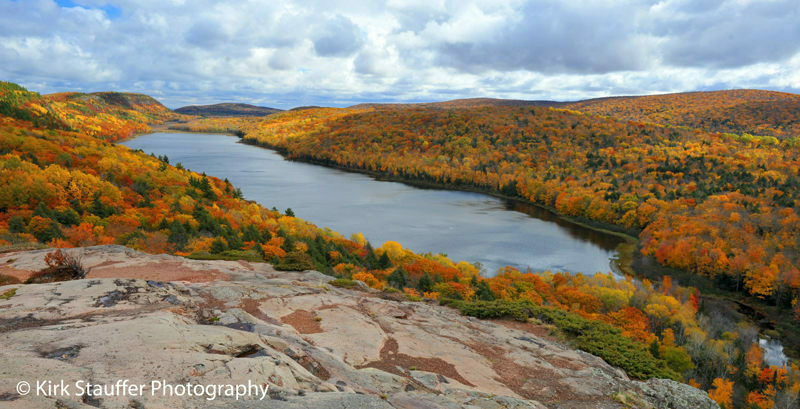 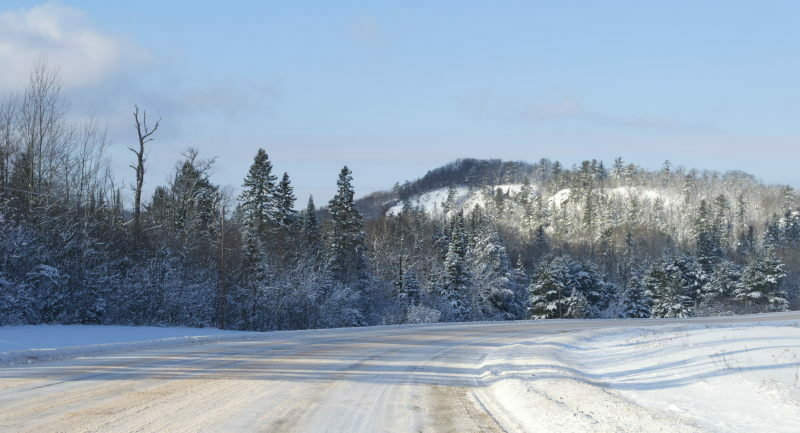 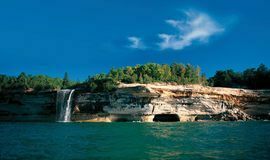 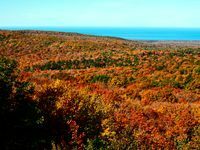 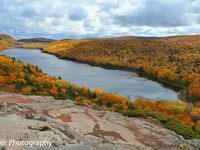 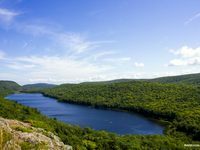 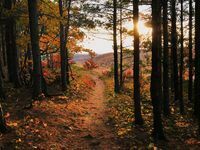 At 1,958 feet above sea level it is one of the highest points in Michigan and offers vast vistas of old growth and virgin forests (gorgeous in fall), the Copper Peak Ski Flying Hill near Ironwood and on a clear day, even the distant Apostle Islands on Lake Superior. 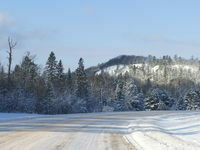 Downhill skiers will enjoy the park’s slopes, especially moving off the shoulders and into the trees. 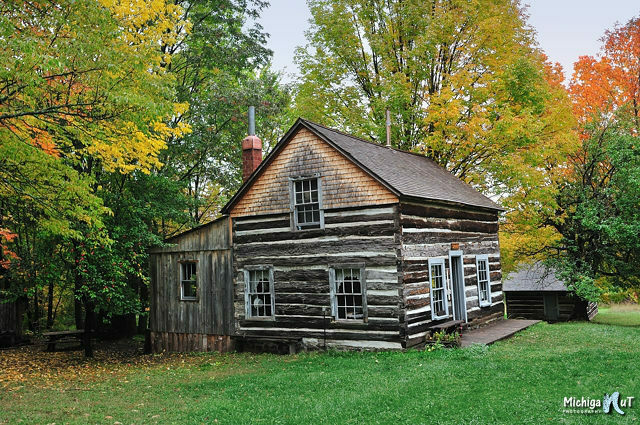 History buffs will want to tour the Ontonagon Harbor Lighthouse (1866). 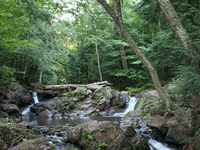 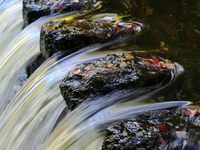 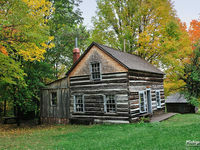 Or take the selfguided trails to old mining sites on the Union Mine Scenic Trail and Nonesuch Mine location. 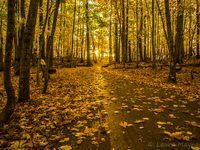 You can enter the adit of the old Carp Lake Mine. 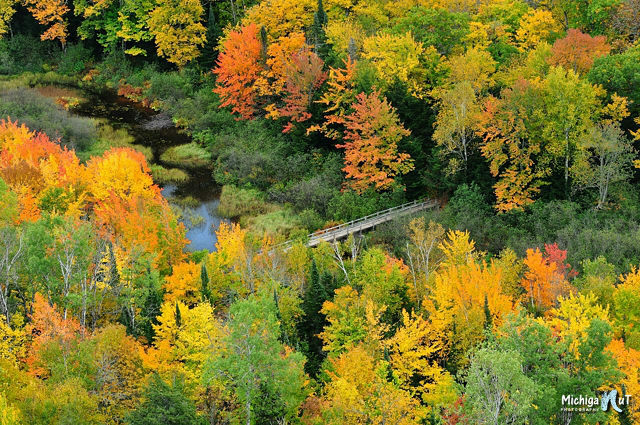 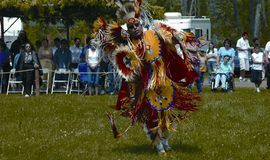 Explore the Minesota (yes, that’s how it’s spelled) Mine site near Rockland, once the most productive copper mine in the U.S. Or visit the Old Victoria Restoration site where mining days are brought back to life. 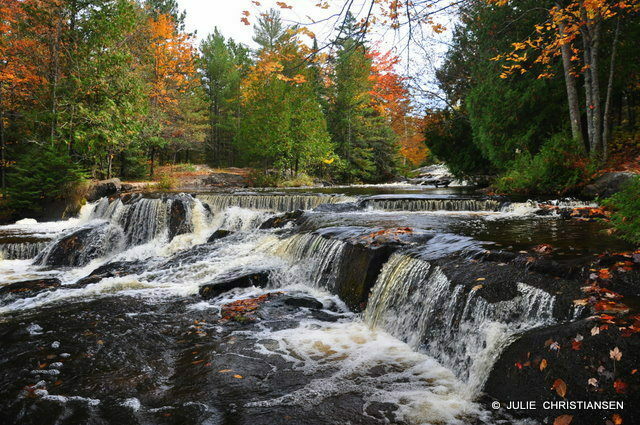 Another U.P. 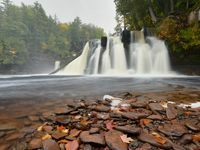 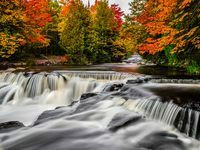 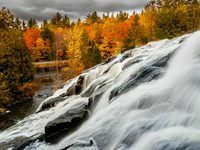 high point, literally, is the Victoria Hydro on the West Branch of the Ontonagon, the highest hydroelectric dam in the midwest. 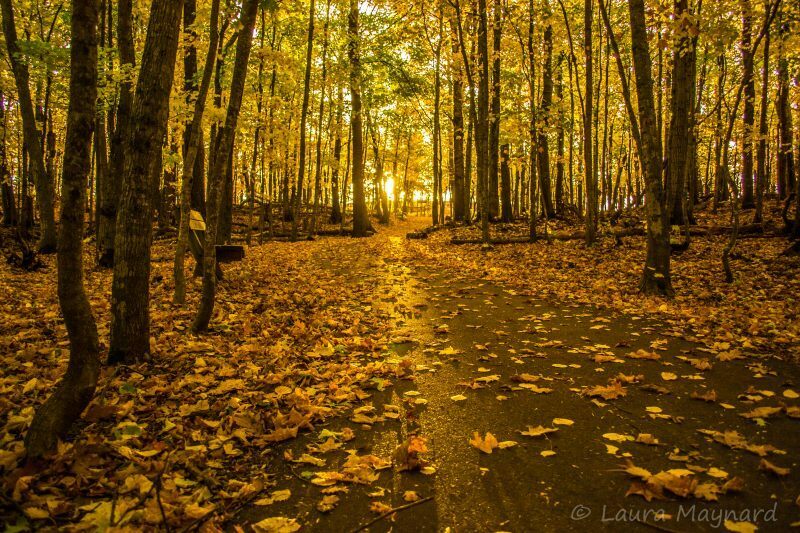 And before you go home, decide for yourself if the “Paulding Mystery Light” is real or imagined.